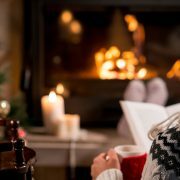 You are here: Home / Sir Jason Winters Blog / Tea vs Coffee: Which Keeps You Going? Be honest: the number one reason you drink tea or coffee is for the energy. While tea and coffee come in different types and flavors to fit any needs, the reason we buy it is generally the same. 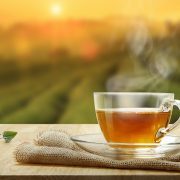 A lot of us need a pick-up in the morning, and tea and coffee are one of the best ways to get an extra boost of energy. 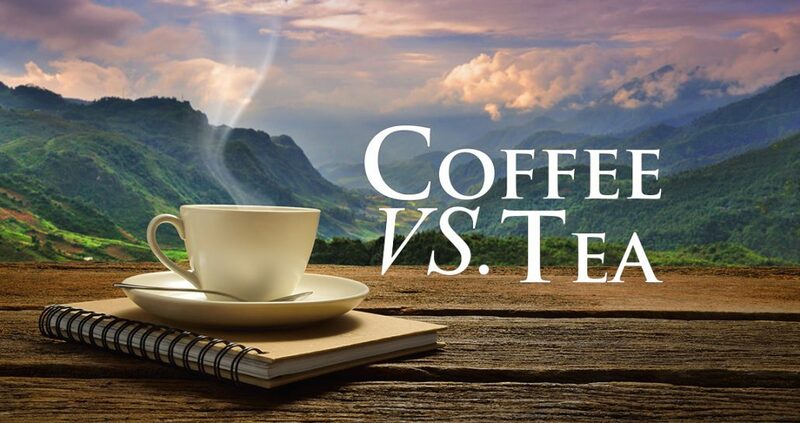 But when it comes to tea and coffee, which is going to keep you going for longer? While a caffeinated beverage is important, your daily energy comes down to more than just caffeine levels. 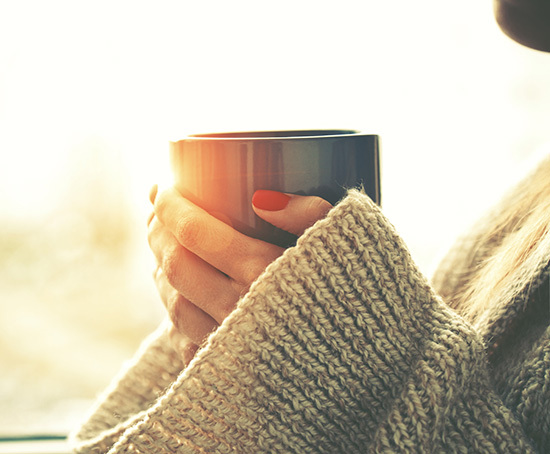 Find out which morning drink is going to give you the best boost throughout your day! The biggest reason your tea or coffee is giving you energy is because of the caffeine. Caffeine, as you probably know, is the chemical in tea and coffee that gives you energy. But the types of tea and coffee you drink, and the way they’re prepared, will determine the amount of caffeine you get in each cup. If you want the most caffeinated beverage, you’ll want to go with brewed coffee. Filtered coffee takes a close second to brewed coffee in terms of caffeine per mg, and instant coffee comes in a third. Black tea, the most caffeinated tea option, is the fourth most caffeinated drink when compared to coffee. Oolong and green tea have less caffeine than black. And Herbal tea has zero caffeine. Of course, the amount of caffeine per cup depends on the type of beans you’re roasting or leaves you’re brewing, but since coffee is brewed to be much more potent than tea, the result is a more caffeinated serving in your cup of coffee than in your tea. There’s a lot more in your drink than just caffeine. Studies show that staying hydrated throughout the day is the best way to keep energized. But this doesn’t mean you should abandon your tea or coffee for a morning glass of water. Tea and coffee are both over 99% water, meaning that you’ll be getting hydrated as you’re drinking either one. While you’ll need a lot more water than they can provide, it just goes to show that both tea and coffee can help increase your daily energy in multiple ways. Caffeine wears off, but it tends to wear off faster is you’re drinking coffee. Coffee is full of depressants, and it could lead to a longer day. These depressants won’t affect your mood, but they will naturally reduce your energy levels. The more coffee you drink, the more likely you are to lose energy at some point during the day. Tea drinkers don’t have to worry about this issue as much as coffee drinkers. The only depressing effect tea can cause is the sensation of caffeine getting flushed out. However, coffee drinkers also have to deal with this issue in addition to the natural depressants. If you have a long day ahead of you, tea is going to be the better option. For an ideal energy boost, grab some green tea leaves, brew a strong cup and stay hydrated throughout the day!